Emmanuel Tettey Mensah was born on 31 May 1919 Accra Ghana. He had a very good education at the Government School, Accra, and later at Accra High School. At the age of 12 he learned to play flute in the Government School band and in 1932, he began playing piccolo and flute in the Accra Orchestra, a schoolchildren's band. The leader of the Accra Orchestra at the time was a teacher, Joe Lamptey, who gathered talented young people together to form a band. Mensah continued to play with this orchestra and also learnt to play the alto-saxophone. His musical career was given an opportunity when he was able to finance his own musical ventures by opening a pharmacy. He was regarded as the "King of Highlife" music. He led the band called "The Tempos", a group that toured widely in West Africa in those days when highlife was known to be music of the soul. Mensah joined the Tempos band in 1947 which was originally formed in 1946 by European soldier stationed in Accra Ghana. Shortly after this the band split up, to be reformed again with Mensah as its leader. The group gained international attention and in 1957, Mensah performed with Louis Armstrong. The highlife style of music started to decline in the 1960s, but E. T. Mensah remained active for years afterwards. He co-starred on a highly successful album with the Nigerian trumpeter Dr Victor Abimbola Olaiya. Mensah had a successful career in music and many records to his credit. He died on the 19 July 1996. Emmanuel Tettey Mensah’s contribution to Ghanaian and African heritage was never forgotten. In 1989 he was formally honoured with the title Okunini (Very famous man) for his contribution to the country's culture. He was also awarded an honorary doctorate. More recently his music has been revived in cinema and television advertising, historical documentaries including the epic People's Century series, and CD-Rom encyclopedias. Mensah's highlife was the sound of African independence days. He will always have a place in the hearts of West Africans. Emmanuel Tettey Mensah made his first visit to Nigeria in 1950 when dance bands were still playing the dated swing music. The Tempos played at the club of Bobby Benson who quickly adapted his own style to create a Nigerian version of highlife. When Mensah recorded his first 78rpm discs for Decca West Africa in 1952, he was quickly proclaimed the 'King of Highlife'. Songs such as Nkebo Bayaa, Munsuru, Essie Nana, covering topics from love to social commentary were delivered in Ga, Fanti, Twi and Ewe. Highlifes and calypsos sung in English included Sunday Mirror, Don't Mind You Wife , Inflation Calypso and All For You - one of his catchy theme songs which became a big-selling hit. 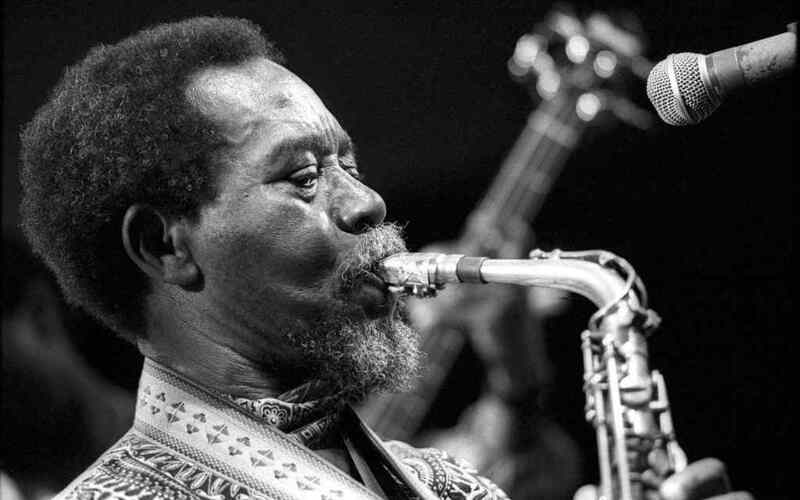 After various personnel changes just before these recordings, the band members on the first sessions included Les Brown [guitar] Tommy Gripman [trombone] Spike Anyankor [alto sax], Tom Thumb Ado [drums] Dan Acquaye [bongos] Pappoe [maraccas] Moilai [claves] and Duke Hesse [congas]. The regular singer was Dan Acquaye, but there were many instrumental numbers featuring Mensah's sweet horn arrangements. The band split up again shortly after and for the next recording sessions in 1953, newcomers included Glen Kofie [trombone] and two Nigerians; Baby Face Paul [tenor sax] and Zeal Onyia [trumpet]. Dan, Spike and Tom Thumb remained loyal. The Tempos made frequent and lucrative tours of Nigeria and business was so good that Mensah could run another band in Ghana while he was away. Eventually, however, Nigerian musicians complained Emmanuel Tettey Mensah's success was spoiling their opportunities and his visits were curtailed. In 1953, Mensah made his first solo trip to London where he performed with jazz regulars in the African clubs of Soho and recorded some 78rpms for HMV's GV series.. In 1956, Emmanuel Tettey Mensah welcomed Louis Armstrong on his tour of Africa and they jammed together in front of enormous crowds. By now he had his own club, the Paramount, where Armstrong played, but soon after Independence economic problems forced him to shut it down. Officially acknowledged by the Nkrumah government, E.T. was expecting to be sent on tour to England, but the funding did not come through. Instead the band set out in 1958 on a tour of Cote d'Ivoire, Liberia, Guinea and Sierra Leone, which included playing for several heads of state. Copyright © 2015 TIA Africa. All rights reserved.